In a series of Instagram posts a little after midnight of September 12, Kris Aquino admitted that she is leaving ABS-CBN and that she was not in full control of her departure. She also shared that she will be working on a project with Tony Tuviera, the main man of APT Entertainment, which is a subsidiary of TAPE Inc. TAPE Inc, the producer of Eat Bulaga!, is currently in partnership with GMA 7 in producing late morning and noontime shows for the network. In the first of her three succeeding Instagram posts, the Queen of All Media captioned that she wanted to tell (her) truth. Aquino revealed that she was set to renew her contract with ABS-CBN last February 16 but did not materialize because she wanted to prioritize her health. "It was a generous, less demanding agreement", Kris described the offer that she turned down. The negotiations continued in July after she participated in the campaign sorties of the Liberal party. "But there was no definite show and no assured time frame of my return on air", she shared. "As much as I wanted to believe I was a pillar of the network, everybody is dispensable." She added that her departure from ABS-CBN wasn't a choice that only she can decide on. When things didn't go as planned, it was her friend and manager Boy Abunda who reached out to Tony Tuviera of APT. Kris shared that the initial plan was an online show but it further developed into a "TV collaboration". She ended her second post with the caption "Tamang Panahon", a phrase made popular by the phenomenal Kalyeserye, a former segment of Eat Bulaga. Kris, however, emphasized that she will remain grateful to ABS-CBN. In previous posts, the Queen of Talk revealed that she will resume taping for her new TV projects on September 22. There are no details yet on what her new show is and when will it air. Will it be another mix of travel, talk and foodie show? What about a collaboration with her "friendship" Ai Ai delas Alas who is one of the major talents of another ATP-produced show Sunday PinaSaya? 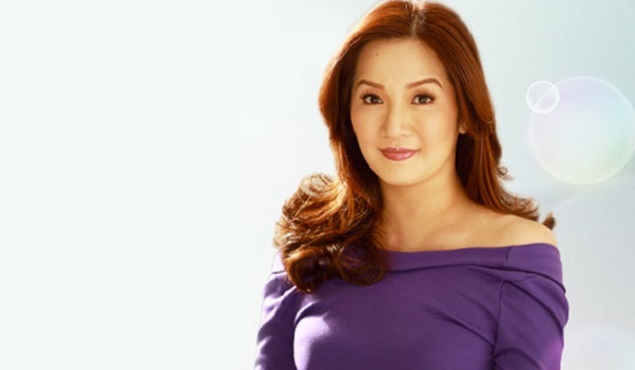 Can Kris Aquino work with ALDUB? So many possibilities that we have to wait and see.